Page & Page create big work and therefore need a growing team. With more work coming in than ever, Page & Page needed extra hands on deck. 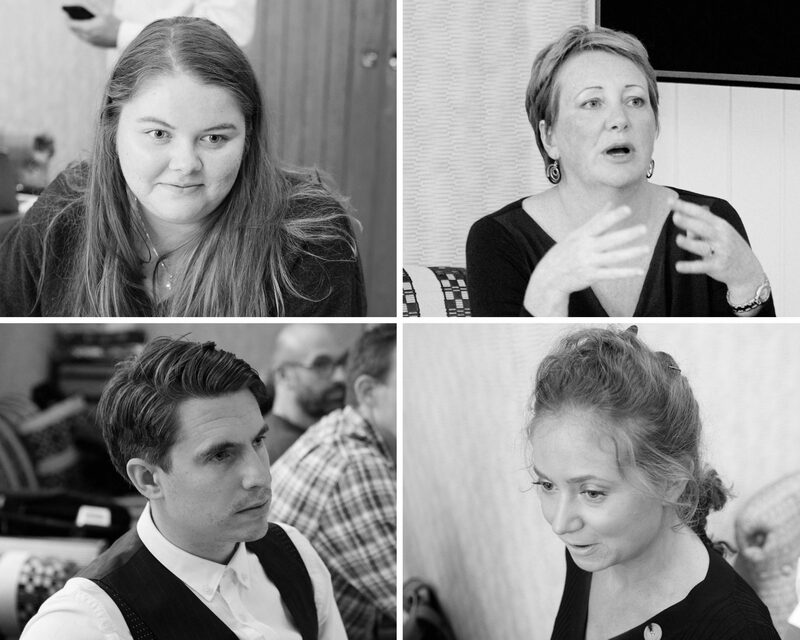 In the last month the business has taken on 4 new starters Paul Hunt (Creative), Harriet Turner (Account Manager), Jess Baldock (Junior Copywriter) and Michelle Burt (Marketing Assistant) who are all excited to join the team and make great work. Paul has joined Page & Page as a Creative. A bit of an all-rounder, Paul’s portfolio has a strong focus on branding, but he is comfortable and happy designing and creating everything from digital to print and exhibition materials to illustration. He also has a keen interest in all things motion and has expanded his skill set to include animation and video editing. Paul’s recent history includes experience in the retail, education, pharmaceutical and financial sectors creatively leading multiple global rebrands and ad campaigns. He is also a semi-professional DJ, aliasing as ‘Wingman’ and spends much of his free time producing finely tuned mixes for exercise classes. After graduating with a degree in biochemistry, Harriet embarked upon a career in marketing – gaining over 7 years of experience in B2B marketing for an array of technology clients, both in house and agency side. It’s the combination of creativity, strategy and analytics that Harriet enjoys most about marketing – ensuring that all campaigns are measured effectively in order to quantify ROI. By joining Page & Page, Harriet is keen to use her science background and digital marketing expertise to benefit the company’s growing client base. Aside from marketing, Harriet loves travel, going to gigs, cooking, yoga and being outside and active. Fresh out of Bucks New University’s Creative Advertising Course, Jess is just starting her career. It was at University that she discovered her love for writing, completing her degree as a copywriter with a particular interest in social media and influencers. During her time at Uni she had two short placements at Soul and Mr President in London. She’s a local girl, born and raised in Crowborough, so Page & Page is the perfect fit to allow her to learn and grow her skills in the area that she knows and loves. Michelle was a Personal Assistant for over 25 years in the finance industry based in central London, organising global travel and corporate events. She loves all things science from anatomy and physiology to astronomy and is currently studying for a degree in Health Sciences. Michelle loves to travel and has ventured solo all over the world. She is also a qualified massage therapist and used to have her own dog-sitting business on the side. To find out more about the talent at Page & Page, visit the team page on our website.